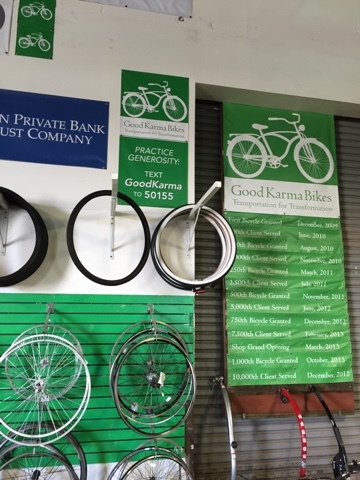 Good Karma Bikes is located on 345 Sunol Street in San Jose and if you want a sturdy but inexpensive bike to bring to Burning Man this is where you need to go. The deals are great because at the moment GKB is preparing to move to another location and need to clear out some inventory. So if you want a bike to stand up to the abuse Burning Man delivers (or if you just want a new set of wheels) head right over. If you're doing some tinkering at home peruse their parts too. You'll be glad you went. Thanks for reading and thanks for riding. 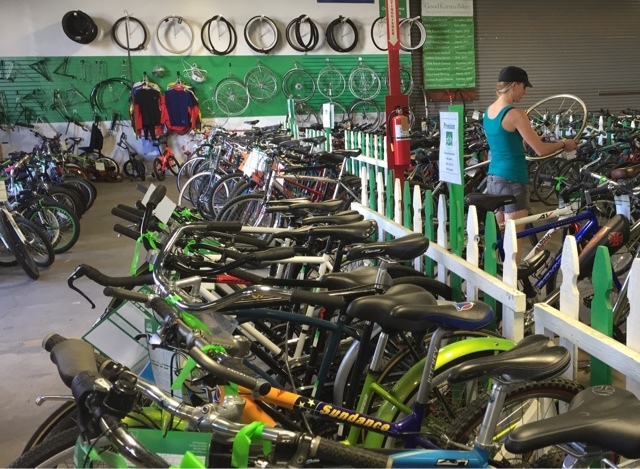 Using Burning Man to clear out inventory is a good suggestion, but otherwise it's a waste of a good bike. People buy the crappiest bike available from *-Mart then leave them behind once the festivities are over. Every discount retailer within 300 miles of Black Rock has their stock cleaned out in the days prior to this weekend every year.